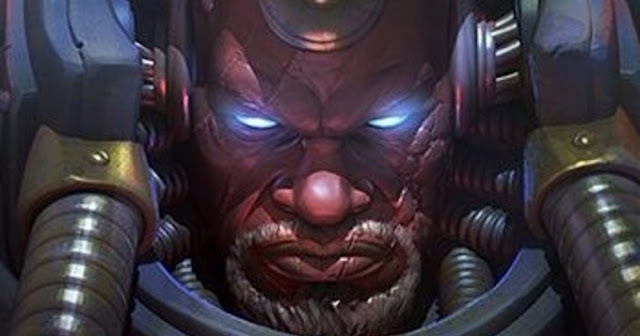 We all know how powerful a Librarian is in Space Hulk. He can turn the tide of battle with ease. And that’s the problem my friend and I quickly discovered with him in our games. It’s not so much that he’s powerful, but more that his psychic power doesn’t reflect how the warp works. I know I’m going out on a limb here thinking I can explain how the warp works… but follow along with me and you’ll see why we changed the rules as we did. The warp has an ebb and flow to it. It comes and goes like the tide… just not as reliable. In fact, not reliable at all. It’s unstable to put it mildly. There are times when psykers can draw on it’s power with ease and times when it’s not nearly as “available.” Psykers have the ability to tap into this shifting power. It’s what sets them apart from the rest of creatures in the Imperium… but there’s never a guarantee that the power will be there to use. In the game, a Librarian has no fear going face to face with any Genestealer or Broodlord for that matter in the beginning of the mission because the Space Marine player knows he simply can’t be beat. He has his full allotment of psi-points to pull from. But that same confrontation near the end of the mission almost always spells death for the Librarian. So how does that work? Does he suddenly get tired and quit? The current psi-point allotment forces the Genestealer player to play a certain way around the Librarian model. He has to throw bug after bug at him and try to wear him down. He has no other choice. There is no accounting for the “warp” here. It’s simply an insane power level the Librarian starts at and the Genestelaer player has no option but to try and whittle him down over time. Not much fun there. Trouble is, that’s not how the warp works as I see it. A Librarian can’t always draw on the power of the warp in a given moment. It may be life and death and he desperately needs to, but the warp is a fickle thing. Like I said before, there’s an ebb and flow to its power. With the current set up, the Librarian is never affected by this constantly shifting power level of the warp. He simply has all of his remaining power available at any moment and it only decreases when he chooses to use it. Nothing else affects it. Simple enough mechanic for the game, but not the most accurate in addition to creating a mandatory play style for the Genestealer player. So how do you change this? Good question. It took some play testing, but I’ll tell you that once my friend and I came up with this solution, our Librarians play in a much different way now. They no longer get weaker as the mission goes on and they use their psi-points. In addition to getting rid of that power drain effect, they’re now subject to changes in the warp. It can make for some harrowing game turns as you try to pull off the impossible. So what changes are made then? Let’s compare the official Librarian stats with the new modified ones we made and look at the reason behind the changes in the relevant categories. Unchanged. He moves in Terminator armour just like any other Marine does. Official: He may use the Command Points rolled for each turn by the Space Marine player. Modified: He may NO LONGER use the Command Points rolled for each turn by the Space Marine player. Reason: After changing how psi-points are allotted we found this to be too powerful. In addition, a Librarian is often outside the regular command structure of the standard Terminator squad and not subject to being told what to do by a Sergeant. Official: The Librarian starts with 20 points and may use them to augment his close combat roll and/or cast a psychic power. Modified: The Space Marine player secretly rolls 1D6 at the start of each turn to determine the Librarian’s available psi-points for that turn. Those psi-points may be used to cast psychic powers, augment his close combat result (both options just like before) or be used just like Command Points would be, but only for the Librarian. Unused psi-points at the end of each turn are lost and do not carry over to the next turn. Unchanged. The psychic powers available, their casting costs, limits, rules and effects all remain the same. Official: Adds +1 to close combat result same way a Sergeant would. Modified: Adds +2 to close combat result now. Reason: This guy is just as capable if not more so than any Veteran in close combat. What he does have over everyone else is an increased psychic capacity and that’s reflected by the additional bonus point. Unchanged. No need to arm him with anything different. His fires his Storm Bolter following all the normal rules. His Force Axe follows all the normal rules as well. To make it easy, I've created a quick, one page "cheat sheet" that you can download for free and print out that has the modified Librarian rules for use in your games. It means your Librarian is not going to get weaker as the game goes on. But… it means he’s subject to the coming and going of the warp like every psychic creature in the 40k universe and there will be turns where he is strengthened by its presence and turns where it is noticeably absent and he must tread carefully. There will be turns where you’ll have to decide between casting a psychic power or saving your few psi-points for close combat knowing you didn’t roll enough to be able to do both this turn. There will be turns where you don’t even roll enough psi-points to be able to cast the more potent psychic powers. Ultimately it creates a Librarian that must balance between the material and ever shifting psychic world. He needs to know when to harness its power and when to take pause so as not to overextend himself inviting danger. It makes for a far better game in my mind. Give it a go. I think you’ll enjoy these new rules for your Librarians. Let me know how it works for you if you do. Even with years of space hulk duty, I still struggle to harness the full power of the warp. IMAGE: Warhammer 40k Dawn of War III. One bad looking dude.